As the Press Democrat notes, the advocate is one of several Santa Rosa residents continuing the work of one woman. The founder, who has since passed, began the so-called “Walkabout” tours over a decade ago in order to help the city improve crosswalk safety for those with visual impairments. These tours, now continued by several advocates with different abilities and challenges, help city officials identify safety and access issue that may not be apparent to those who can see, hear, and walk without difficulty. While the advocates praise the city as being generally responsive, budgetary issues often limit actions. The advocates also note that safety is a broad responsibility and drivers must be alert for people using wheelchairs or who may have other physical impairments. Car accidents pose a very real danger to people with disabilities. Last November, Fox News reported the results of a study by researchers at Georgetown University’s School of Medicine that found people in wheelchairs were 36 percent more likely to die in a collision with a car than other pedestrians. Nearly half of the studied collisions involving people in wheelchairs occurred at intersections and approximately 39% of those incidents occurred in locations that lacked any type of traffic control device. Further, researchers found that in about 21% of the fatal wheelchair crashes a drive r failed to yield the right-of-way and in about 78% of cases there was no observed crash-avoidance effort by the driver. The Georgetown researchers used accident statistics compiled by the federal government for their study. They note that their figures may be under-inclusive since they did not include people using motorized scooters because they were unable to separate those using scooters as a mobility device from moped users etc. They were also unable to separate traditional manual wheelchairs from electric wheelchairs so could not analyze how the different equipment impacted accident rates. 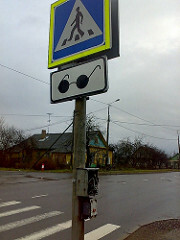 We support the efforts of Santa Rosa to improve access for pedestrians of all abilities. We also know that every accident is unique and details matter. 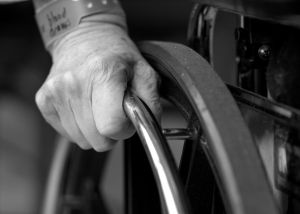 Whether it is an inattentive driver or a dangerous road that leads to an accident, our wheelchair accident law firm in Santa Rosa, San Francisco, and Oakland is ready to help. We are also prepared to help individuals with vision, hearing, and/or other physical disabilities who are injured due to the negligence of a driver or due to a municipality’s failure to ensure safe access. Call to learn more.